When the manager of Redwood Cove Bed & Breakfast dies suddenly, Kelly is sent to fill in for him and keep the hotel running. But she quickly comes to realise that all is not as it seems and it’s possible he was murdered. With a little help from a group of elderly amateur sleuths she starts her own investigation, and as she digs she finds herself the target of a desperate criminal. 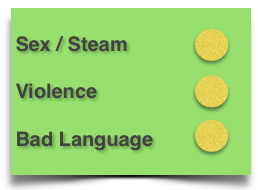 It’s difficult to review and rate cozy mysteries. They all follow a set of rules and authors break them at their peril. 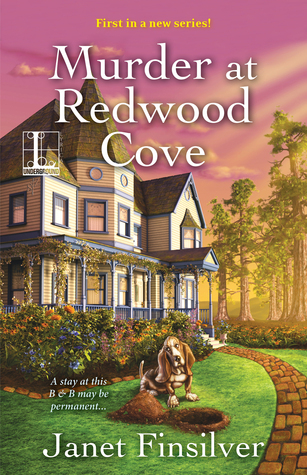 Murder at Redwood Cove is fairly typical in that sense. There is nothing in this book I found particularly surprising –– except the villain. I have to be honest, nine times out of ten, I pick the bad guy very early in the book, but not here. I was completely blind-sided. So an entertaining cozy mystery which would normally rate 3 stars gets an extra star for keeping me guessing to the end. Many thanks to Kensington Books and Netgalley for proving me with this ARC. This entry was posted in Uncategorized and tagged cozy, janet finsilver, murder at redwood cove, mystery by setaian. Bookmark the permalink.